Members of Nebraska City Community Prosperity Initiative invite the public to a Kick-Off Community Meeting for My Riverfront Nebraska City. This participatory public meeting will be held on Tuesday, August 28, at the Rowe Public Safety complex Community Room (1518 Central Ave) from 6-8pm. In partnership with the Nebraska City Community Prosperity Initiative’s Tourism, Arts, Recreation and Trails (T.A.R.T.) 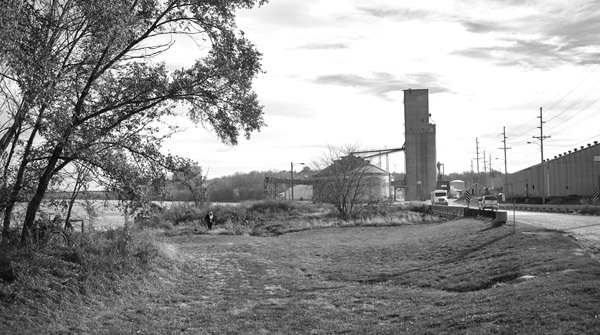 focus group, UNL College of Architecture Collaborative Studio will spend 15 weeks over the upcoming fall semester developing short- and long-term design projects based on a community developed vision for Nebraska City’s riverfront. The public is invited to help define and co-create the vision, goals and priorities for this exciting project. Anyone who has an interest in the future of Nebraska City’s riverfront or would like to get involved, are encouraged to join this interactive evening of creation and conversation. The Nebraska City Community Prosperity Initiative (CPI) originated in March of 2017 with support from the University of Nebraska—Lincoln Extension and the Rural Futures Institute. The pilot effort is intended to support successful communities as they evolve a community-wide focus on longer-term prosperity visioning and action planning; build strong community integrated development capacity; and leverage university and non-university resources. Nebraska City’s CPI effort now includes four volunteer-led sub-committees focused on people and education; economic development, housing, and tourism; arts, recreation and trails. The UNL College of Architecture brings together the disciplines of architecture, landscape architecture, interior design and planning to address real problems and difficult challenges with innovative and collaborative action. This fourth year collaborate studio, led by Emily Andersen and Kim Wilson, uses interdisciplinary teams to explore issues across a range of project types and where students rely on each other for the knowledge they have gained over the last three years.